Born: 24 August 1846, Vanersborg, Sweden. Died: 30 May 1901, near Grootfontein, Namibia. Axel Wilhelm Eriksson, trader, farmer, explorer and bird collector, was the son of Anders Eriksson and his wife Sarah. He developed a strong interest in natural history as a youth and was taught bird taxidermy by Llewellyn Lloyd, an eccentric English bear-hunter and author who lived in Sweden and who was the natural father of C.J. Andersson*. Eriksson left Sweden for the Cape late in 1865 to join Andersson, who was at that time already a famous explorer, to help him with his trading and bird collecting. They travelled to Namibia via Walfish Bay in May 1866, accompanied by Captain T.G. Een*, to trade and collect birds. The three proceeded to Ovamboland and Eriksson accompanied Andersson to the Angolan border. However, in July 1867 Andersson died in Ovamboland. Eriksson returned briefly to Cape Town and then established himself as an agent of the Cape Town firm Borgstrom and Ohlsson at Omaruru, Namibia. He established trading interests throughout Damaraland and employed many other hunters and traders, including his brother Albert. In 1875 he visited Sweden, but the next year returned to Namibia. In 1878 he met the survivors of the Thirstland trek in the Okavango area and helped to procure food for them from the Cape. Though his business suffered as a result of the outbreak of the Nama-Herero war in 1880 he remained an influential person in Damaraland and places such as Erikssonsvlei and Erikssonskolk were named after him. He supported the Boer settlement of Upingtonia, around Grootfontein, and was granted land there. Much esteemed by all who knew him, he was one of the most important pioneers of Namibia and for many years the most successful trader in the territory. Eriksson travelled widely to trade and collect natural history specimens. He opened a trading route from Omaruru to Mossamedes, Angola, in 1881 and another route to the Transvaal via the Okavango River, Lake Ngami and the Botletle and Shoshong Rivers. In 1883 he paid another visit to Sweden. The latter half of 1884 he spent in present Zimbabwe. During 1885 to 1887 he was mainly in the Transvaal, having bought a large estate on the Crocodile River. 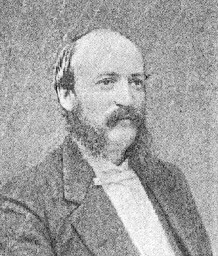 Roland Trimen* of the South African Museum, in the preface to his book South African butterflies... (1887-1889) mentioned that he received a large number of Transvaal butterflies from Eriksson. The years 1888-1890 were spent trading and exploring in northern Namibia and southern Angola. In 1893 he returned to Sweden and the next year brought a party of Swedes to hunt and trade in southern Angola and northern Namibia. He visited the region again in 1895 and 1897. All three his brothers also hunted and traded in northern Namibia and southern Angola. Eriksson made substantial collections of birds, insects and mammals. A number of specimens were sent to the South African Museum in Cape Town, including two bird skins with careful notes from Damaraland in 1879; birds from Mossamedes in 1883 and from Botswana in 1884; insects from the Transvaal and Matabeleland in 1885 and from Damaraland and Ovamboland in 1888 and 1891; 22 bird skins from Damaraland in 1898; and a collection of insects from northern Damaraland in 1899, including some 20 species new to the museum. A fine collection of birds and mammals was sent to his hometown Vanersborg and later formed the nucleus of the Department of Natural History of the Vanersborg Museum. A collection of insects was sent to the Entomological Museum in Lund, and a minor collection to the Zoological Institute of Uppsala University. By subsequent donations part of his material went to the British Museum (Natural History) and the Riksmuseum, Stockholm. A collection of Transvaal birds went to a major museum in the eastern United States. His collections contained many new species. The Swedish bird material was studied by Dr G. Rudebeck and the results published in Volume 2 of South African animal life in 1955. A subspecies of the Spikeheeled Lark, Chersomanes albofasciata erikssoni was named after him by Dr E. Hartert in 1907. Eriksson died of an intestinal disease in northern Damaraland. He was married to Francis Emily ('Fanny') Stewardson, with whom he had two sons and two daughters. They were divorced in 1882. One of his sons, Axel Eriksson, became a well-known Namibian artist. Brinck, P. Swedish exploration of South African animal life during 200 years. In B. Hanstrom, P. Brinck & G. Rudebeck (eds), South African animal life: results of the Lund University expedition in 1950-1951 (Vol. 1, pp. 11-61). Stockholm: Almquist & Wiksell, 1955. Cape of Good Hope. Report of the trustees of the South African Museum, 1879-1899. Clancey, P.A. The founders of South West African ornithology. Bokmakierie, 1989, Vol. 41(2), pp. 41-45. National Archives, Pretoria. Source MHG. Reference No. 2921, death notice. National Automated Archival Information Retrieval System (NAAIRS). http://www.national.archives.gov.za/naairs.htm Documents relating to Axel Eriksson. Tabler, E.C. Pioneers of South West Africa and Ngamiland, 1738-1880. Cape Town: Balkema, 1973. Tabler, E.C. Addenda and corrigenda to Pioneers of South West Africa and Ngamiland. Africana Notes and News, 1975, Vol. 21, pp. 321-330. The journal of Gustaf de Vylder, naturalist in south-western Africa, 1873-1875. Cape Town: Van Riebeeck Society, Second Series No. 28, 1998. Trimen, Roland. South African butterflies: A monograph of the extra-tropical species(3 vols). London: Truebner & Co., 1887-1889.